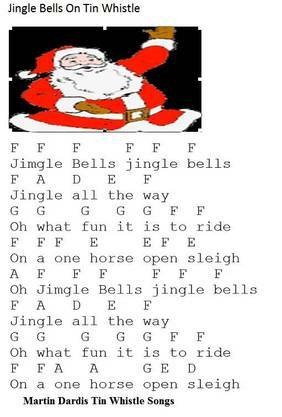 Jingle Bells Tin Whistle Sheet Music Notes. Follow the notes I'm playing in the youtube video which are the same as the image starting with the low F# note. The above version is the full song that starts ''Dashing Through The Snow.